So you’ve got a perfectly comfortable, functional couch… it just looks like hell. With a custom made slipcover, no one will know what evil is lurking underneath all that handmade awesomeness! We scored a couch, loveseat, and chair set at a secondhand furniture store when we first moved in. The upside is that it’s the most comfortable couch I’ve ever had the pleasure of napping on. The downside is that the couch takes quite a beating, especially from our two cats. It also doesn’t help that we’re total movie and tv junkies, so we spend a lot of time EATING on it. So even though it was in Like New condition when we bought it, five years later… not so much. I’d been thinking about slipcovering it for a while, and once Spring Fever hit me, I decided now was the time to do it. I decided on the fabric first. Actually, I decided on the fabric, and then I started doing rough estimates of cost and started asking myself if it was worth it. I even decided I wouldn’t make my own. I started looking at some of the “cheap” slipcover options (meaning not custom made and under $200, which was my estimated fabric budget). I liked none and all had mediocre-to-bad reviews, so I made the final decision that DIY was the way to go. I saw a commercial a few years ago that featured two women sitting on a couch that was covered or slipcovered in a sort of crazy quilt type patchwork. I fell in love. I was initially going to cover each surface with a different print (left side plaid, right side polka dot, one cushion in damask, another cushion in stripe), but after doing a few sketches I decided to scale it back. It was looking busier than I wanted, and would have required more extra fabric/expense to do it that way. I decided I’d do the base of the couch in one fabric, the cushions in another, and the back pillows in a third fabric. To choose my fabric, I did a few sketches on the computer, inserting various Home Dec fabrics I found online, until I found the ones I liked. After I sketched it out, I decided to also do the backs of the pillows in a different fabric. All of the fabrics I bought are by Premier Prints, which I ordered from Fabric.com . It made it especially easy since they’re all sure to match, not that I was too worried about that with the Mix and Match look I was going for. I’d also bought from them before when I made cushions for a chair, so I knew I liked their prints and their quality. They’re all 100% cotton canvas, except for the solid green base fabric, which is a 100% polyester indoor-outdoor canvas. Looking and touching the fabrics, I wouldn’t be able to tell the difference between the polyester and the cotton if I didn’t already know. I could have gotten a similar green in the cotton, but decided to go for durability. We’ll see how it holds up. I should note that I chose canvas because I wanted something with a decent weight with no nap. The original couch cover is a chenille type fabric, and the nap makes the wear and tear extra obvious. It also acts like a lint brush on the cats. No sir, I don’t like it! So if you’ve got pets, nap is something to consider. I also wanted something I could wash. If you’ve got kids or your piece of furniture gets a lot of use, I would avoid any fancy pants fabrics that need to be dry cleaned or won’t hold up to a lot of wear. I read somewhere that not prewashing your slipcover fabrics will retain the brightness and stain resistance. Well, that’s all fine and dandy for some people, but I have cats that puke, and said puke seems magnetically attracted to my couch. I’ve had to wash the cushion covers enough times over the years that I know I’ll be washing them somewhere down the line, and that means I must PREWASH. Measure the couch. It’s easiest if you make a diagram of the various parts you’re measuring so you can keep everything straight. You might not need certain measurements, but when in doubt, measure it. You never know when it might come in handy. Figure out how much fabric you need. This is easiest if you break each piece of the couch into a rectangle. Instead of trying to figure out how to layout that oddly shaped back piece of my couch with the little round bumps from where the arms are, I’ll just say I need a piece that’s 92″ wide by 19″ long. Always use the biggest measurement for a piece. Even though most of the back of the couch is 84″ inches wide, the widest part is 92″, so we use 92″. Actually, first we need to account for SEAM ALLOWANCES and SHRINKAGE (if you’re planning on washing your slipcover ever, you must prewash the fabrics, and any natural fiber like cotton WILL SHRINK). 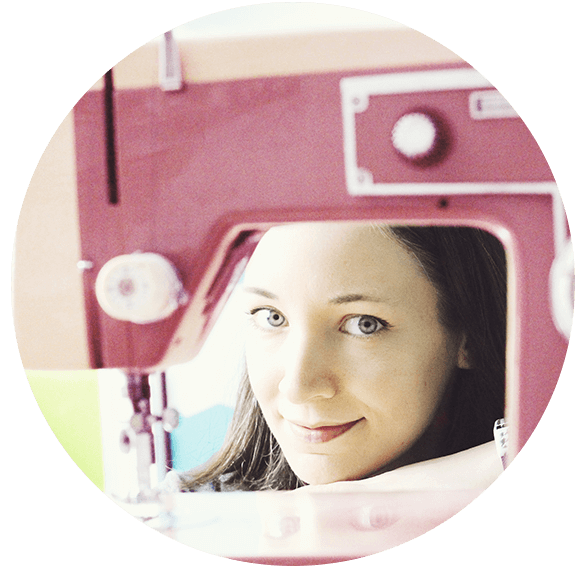 I added 3″ to all of my measurements to account for shrinkage and seam allowances. That 92″ x 19″ back piece really needs the fabric to be 95″ x 22″. There are certain pieces of my slipcover that will be tucked into the couch when in place. Some spots had a 5″ tuck, some had a 3″ tuck. So for the Under Cushion fabric, for example, my measurements are 70″ x 34″. Accounting for seam allowances, shrinkage, and tucking, I want that piece to be 83″ x 41″. Now that you have minimum fabric requirements for each piece of the couch, we need to figure out our total yardage needed. Draw out a piece of fabric in 1 yard increments. Make sure it’s to scale. Graph paper helps. I did mine on the computer, so I set up a grid that was in 6″ increments. 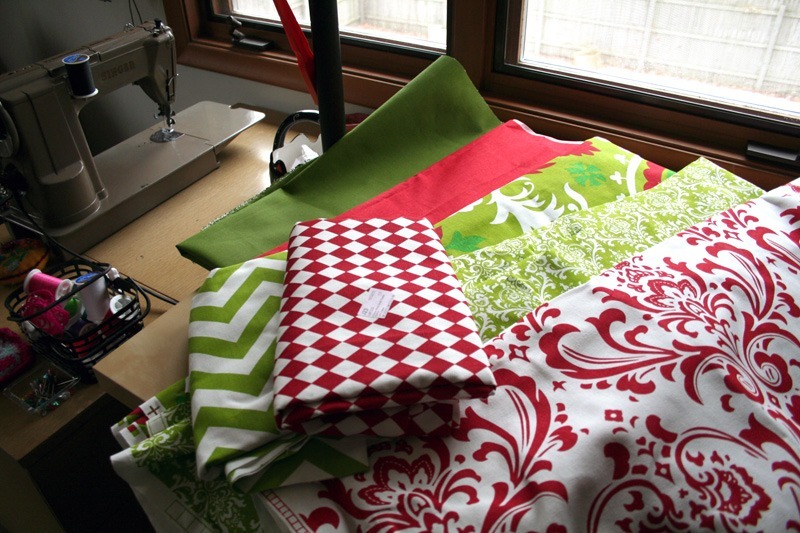 My fabric should be 9 grid squares wide, and 6 grid squares for each yard of fabric. 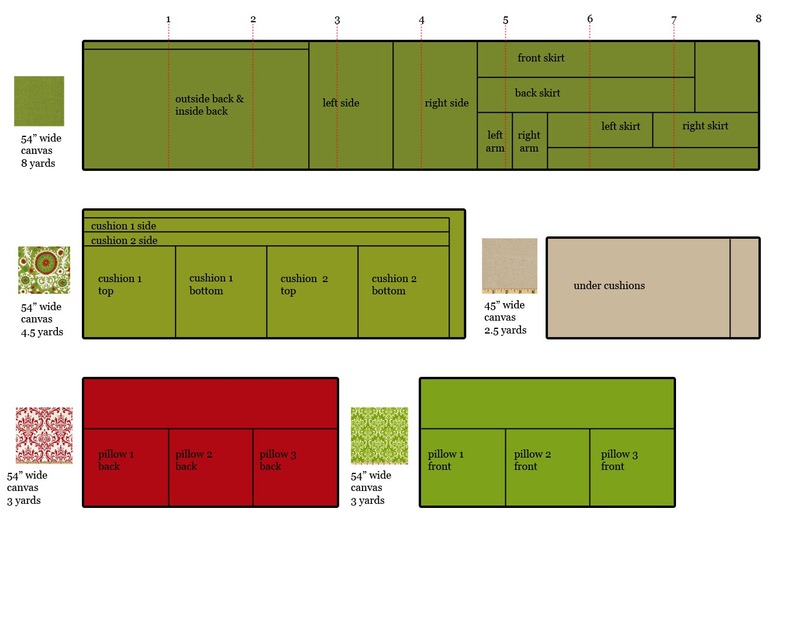 I need 8 yards of fabric for my base, 4.5 yards for the cushions, 2.5 yards for under the cushions, and 6 yards for the pillows (I wanted reversible pillows, so I got 3 yards of 2 different fabrics). Go head and get at least an extra half yard of each fabric. It’ll be worth it if you realized halfway through your project that you measured something wonky and need a little extra. Nothing would cramp your style like realizing you’re an inch short, only to have to order the whole piece of fabric over again! Pay attention to the widest parts of your couch if you’re using prints. Since I’m using a solid, I didn’t have to worry about it, because I can lay the fabric sideways and it looks the same. Some prints like stripes, dots, and plaid would be okay turned sideways. However, if I’d chosen one of the damask fabrics (like the cushion or pillow fabric), turning it sideways isn’t going to work. Instead, I would have had to sew two pieces of the 54″ wide fabric together to get a piece wide enough to cover the back of my 94″ couch. 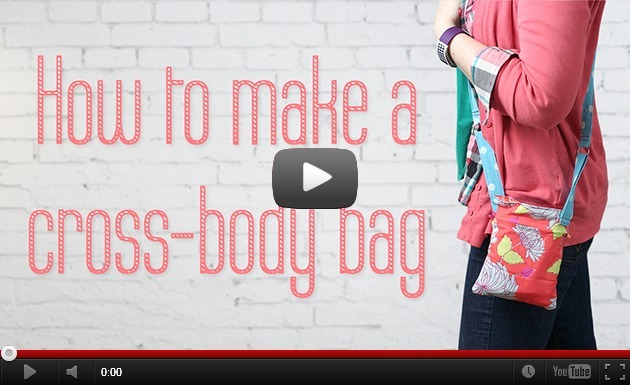 That’s okay if you need/want to do that, but you’ll probably need extra fabric to match the pattern up at the seam. If your couch sits against the wall and you’re sure it ALWAYS will, then you don’t really have to worry about that as much. The other thing I want to talk about is cost. A couch with a base cover AND cushion covers AND pillow covers requires a lot of fabric. You’ll notice my total yardarge is 21 yards. If I had used all one fabric, I could have squeezed a little more out of that, but even so, it’s not a cheap project. I got lucky and the fabric was on sale when I was buying it, AND I had a 15% off coupon. I skated in at about $120, which was $80 less than my budget. Woo! But what if you’re set on some more expensive fabric, or you just don’t have that much to spend? You can make a one piece slipcover instead of the base/cushion/pillow separate piece deal. 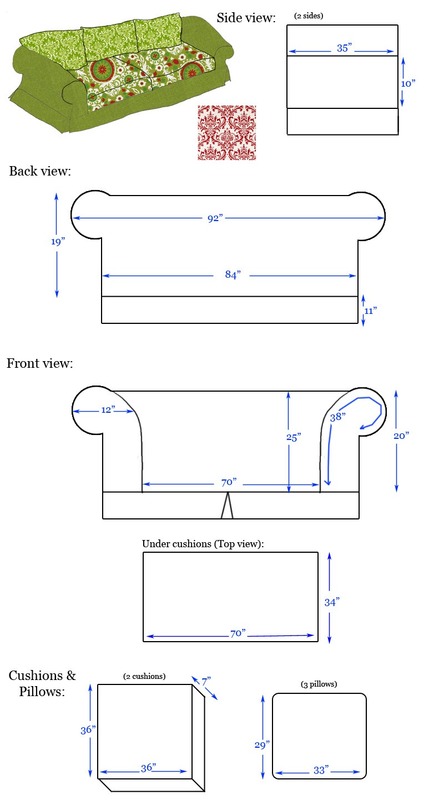 Just measure your couch like you measured the base, but pretend the cushions and/or pillows are permanently attached. It won’t have quite the upholstered look that one in all separate pieces will, but it’ll cut out a ton of yardage. If I had done it that way, it would have been about 11 yards instead of 21. One thing not on my chart is piping. I wasn’t going to do piping on my couch, even though the original upholstery has piping. Then I decided, ah, what the hell. Let’s go for the gold. The red lines are where I want piping. Additionally, each pillow and cushion edge has piping. I added the lengths around all those pieces and found I needed about 27 yards of piping. Let’s say 30 yards and call it a deal. You can buy it premade or make it yourself. I’m going to do it myself. So I need 30 yards of cotton cord and enough fabric to cover it. I figured out that 1.5 yards of 54″ wide fabric is just more than enough to cover 30 yards of cord. How I figured it out: 54″ wide fabric cut into 2″ strips (wide enough to cover the cord + seam allowance) will yield 27 strips. If I bought 1 yard, that’d be 27 one yard strips (which doesn’t account for seam allowances to sew them all together). Not quite enough for 30 yards. Make it 1.5 yards and you’ve got plenty extra. This tutorial has been seeing a lot of action this month, and that’s rad! Except that everyone keeps asking where part 2 is and uh… there sort of isn’t one yet. Please don’t start throwing things at me. First, my apologies on the lack of a Part 2. There WILL BE a Part 2, I promise. Second, my excuse, which is 2 parts. 1. We decided not long after I started this project to move. Not only has the househunting/buying/moving process taken up a lot of time that could have been used to make slipcover tutorials, but it seemed wise to let the old couch get beat up in the move and THEN slipcover it. 2. One of the aforementioned puking cats died unexpectedly. 🙁 Our remaining vomiting kitty got lonely in the subsequent months, so we got 2 kittens. Two kittens that pretty much treat the entire couch like their own personal scratch post. Yet another reason to let them destroy the original cover before I slipcover it! So there you are… my lame excuses for no Part 2. The good news is that we bought the new house. Now we’re fixing it up and should be moving in the next few weeks. It’ll probably still be a few months until the slipcover tutorial is done with the holidays and all (though Part 2 might be ready before that). Keep checking back, or better yet- subscribe to the newsletter, and I’ll send out an update when the other parts are ready! Thanks for your tutorial. I purchased ready-made covers at a sale but they are a very bad fit. I have unpicked them and am using your instructions to remake them. Wish I had found your site first!! Your instructions are well written and easy to follow. Can we see a picture of the finished product? Thanks! Just curious, how much was the total cost, do you remember? I don’t know what the going rate is for cotton canvas, but that was a smart idea over upholstery cloth. I’m sure it was much cheaper than that. Cord welting should always be cut on a bias (diagonally). This allows the fabric flexibility when going around curves and rounding a corner (such as pillows). Otherwise the fabric will pucker in those areas and not be smooth like being cut on a bias. Interested in your comment. I’m a beginner at sewing and was wondering if u cud elaborate on that point? Thanks! Teri, sheets will cover a sofa but won’t be very durable. I’d hate for you to go through the whole construction process only to find they won’t last long. This is my 22nd year of slipcovering as a business. A cotton canvas will really work best. 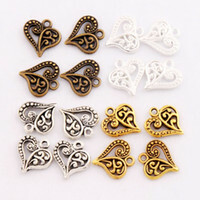 There are several online stores that carry it economically. 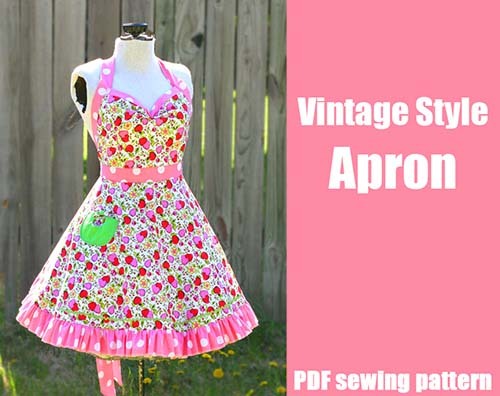 I am wondering if Sewsing could give me an answer on this one: I have a large couch, and am getting ready to sew a slipcover out of canvas drop cloths. I’m concerned that it might be too big, when finished, to put in the washing machine when it needs to be laundered. Is it possible to make the deck, armrests, sides and bottom front in one piece and the whole back including the part you lean against, in a separate piece, and when finished tuck in the edges when putting the whole thing together? (The cushions will both be covered separately with zippers). Will it look ok if it isn’t one big piece (minus the cushions)? First, they do have “large load” washing machines at most laundromats that are made for very heavy duty loads (like quilts and bedspreads). 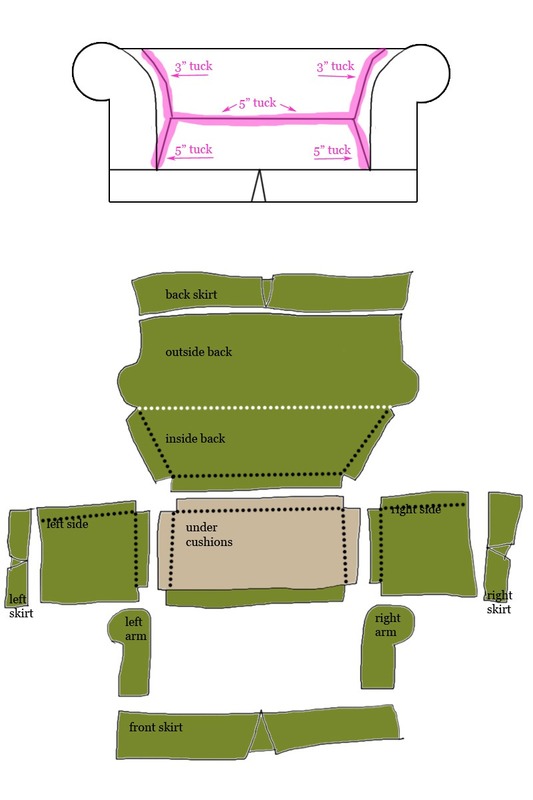 But if that’s impractical, I don’t see why you couldn’t make a slipcover in “sections.” I think I’d have a way that the sections could be attached to one another – snaps or velcro or perhaps ties (maybe something similar to this: http://clv.h-cdn.co/assets/cm/15/08/54ea5d6bd36e3_-_short-fitted-slipcover-gtl0407-de.jpg). I,too, could not find a slipcover for my love seat. I do have a hard time following directions, but your instructions are very good. Wish me luck, I am really looking forward to do this project then just smiling, when asked where I got the cover. “I made it”.